To get the most out of your vehicle in terms of a long-lasting and quality drive, our relationship with you here at Bob Moore Auto Group is going to be ongoing. That’s because we want to ensure your safety and driving efficiency via our onsite car service and repair center in Oklahoma City, Tulsa and Midland, TX. We have the latest technology and equipment to diagnose, repair, and fix your automotive needs, and of course we only use the highest quality of Ford, Cadillac, Nissan, RAM, Jeep parts to keep your vehicle integrity high, and you enjoying a smooth drive no matter where you go. 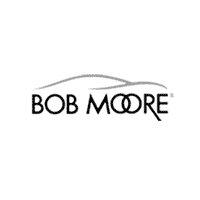 As you can see, Bob Moore Auto Group is committed to serving the automotive needs of all of our manufactures including Ford, Cadillac, Nissan, RAM and Jeep drivers throughout Oklahoma City, Edmond, Norman, Midland TX and Moore communities. Again, we look forward to serving you!